Where do I start? Metal Gear Solid Ground Zeroes, the younger brother and prequel to Metal Gear Solid V: The Phantom Pain, is beautiful, plentiful and a joy to play. When I first loaded the disc and saw the title screen, I could not believe I was finally going to see what this new game had to offer in terms of new gen visuals, how the new gen will work with the MGS experience and ultimately, what MGS V will offer when it finally comes out. There is only one mission here, the events of which link into the world set in Metal Gear Solid V: The Phantom Pain. From what Hideo Koijma has said, this will set a course and prepare us for everything to come in 2015. Once I saw Snake climbing up the mountain-face, I thought ‘My God, how stunning this game looks’. For a new gen game still unable to ooze maximum power out of these fresh systems, the results remain spectacular! This is a game you must see it for yourself to truly appreciate how gorgeous it looks. Once I had control of Snake, I followed Kaz’s instructions to the letter. I took out Snake’s binoculars and zoomed in on the closest watch tower. The first thing I noticed, however, is how big the map is just from scouting the area. 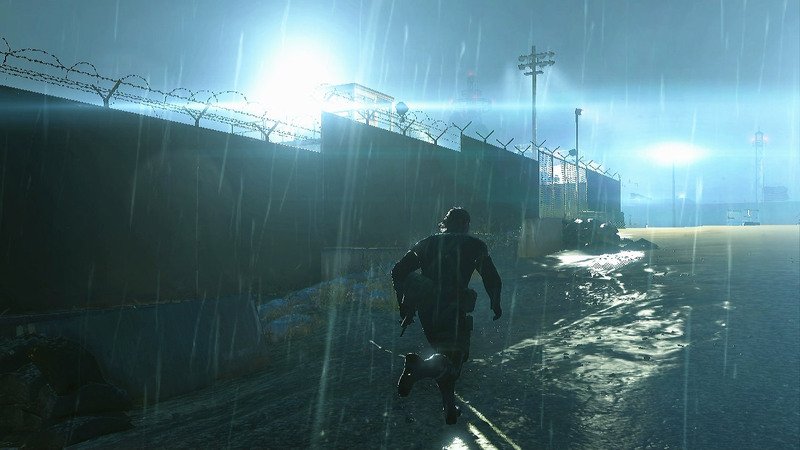 Ground Zeroes is an open-world game, and as a result, I think Phantom Pain will be very much like Peace Walker. In PW, you pick missions from a hub called Mother Base which serves as your central command centre and each mission places the character in a massive area. That’s the early-vibe i’m getting here.. I have played every MGS game, starting from the Playstation 1 era. Sneaking around and tranquillizing enemies is what I do best. I’m also used to picking up enemies and hiding their bodies and this is a definite must if you plan on not getting that alert status, as the AI is far superior to any previous Metal Gear game. You could tranq every enemy, but will need to look for ammo as it’s very short to start with. As I made my way around the map, I made enemy after enemy fall asleep, then hid their bodies in the bushes. Fortunately, the greenery was plentiful. As I slowly made my way to the objective – which happened to be a small prison camp further in-land – I happened to notice a white indicator appear on the screen. At first, it caught me off guard, then I soon realised it was to let me know an enemy was looking in my direction and the game was warning me that I could be seen. MGS GZ is all about reducing the HUD, simplifying it for a more engrossing experience. As I completed the first objective and transported the young prisoner to a helicopter for extraction, a thought occurred to me. I felt compelled to go back on myself, drag every solider I had tranquillized and ring-fence them in the prison camp. In an earlier interview, I remember Hideo Kojima telling everyone their Ground Zeroes save file will be of benefit to The Phantom Pain. And this definitely will have an impact on The Phantom Pain as the soldiers and prisoners you rescue will be apart of your Mother Base in the full game and act like a workforce. The same was also true for Peace Walker. I got roughly one hour into the game when, after a cut-scene, I was given my second objective. This time I had to rescue another individual, someone you will be familiar with if you have played Peace Walker. You might be aware that vehicles are also new to this game, and in this instance, I had two options in front of me. One, I could go on foot and get myself to the objective the quiet way, or I could jump onto the back of a truck in front of me. Heck, I could go for unexpected option three and hijack the vehicle, but on this occasion, I decided to hitch a free ride. As I was being driven, I heard Kaz mention the place where the prisoner was being held. I had no clue where that was, but I knew the map was going to be my best friend. Rather than disturb the flow of the action, however, I decided to use my Sony Xperia Z tablet as a second screen so that I could play the game uninterrupted while still looking at the map. I have to say, I did not expect the companion app to be so beneficial. For example, when I marked an enemy using the binoculars, the enemy would be highlighted on-screen and appear as a triangle on the map. This all happened instantaneously and in real time. I even had the option of changing the orientation of the map to suit how I wanted to view it. I must applaud Mr Kojima and his team for implementing such a feature and making sure that it is actually of use. Fast forward towards the end of the mission, I escaped with the prisoner and was introduced to The Phantom Pain via the end cut-scenes as reward for completing the Ground Zeroes mission. After watching it, I was left with my mouth watering, wanting more. 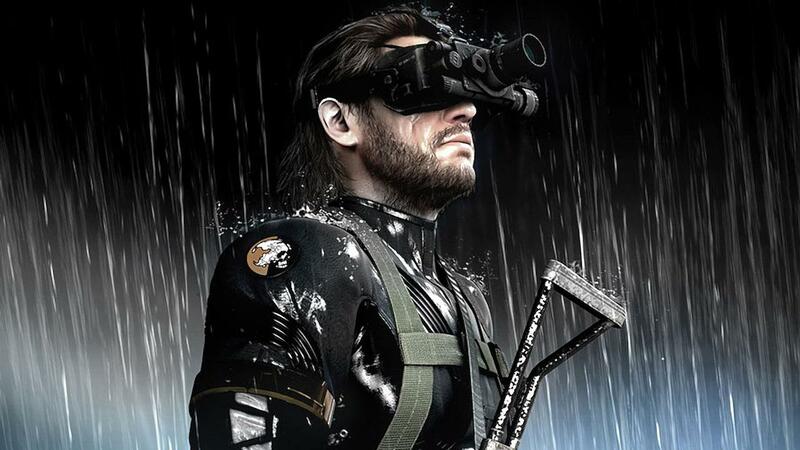 The Phantom Pain will no doubt be out of this world if Ground Zeroes is anything to go by. Once you have finished the main mission you unlock a few side ops, and with each side op completed, you unlock another. 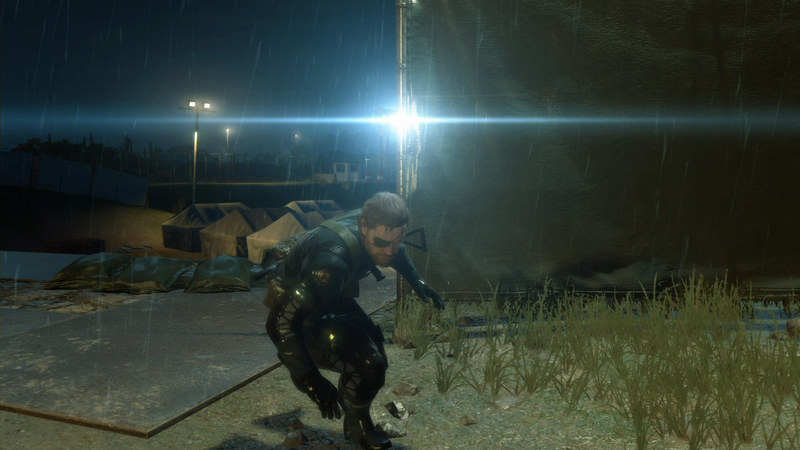 These are smaller missions which offer a mini narrative within the MGS 5 Ground Zeroes world. The missions range from fetching files and escaping, to neutralizing threats. I must say, I particularly enjoyed myself when I knew I could just go in, all guns blazing. The first time I did this, I felt a surge of excitement and relief flow through me. 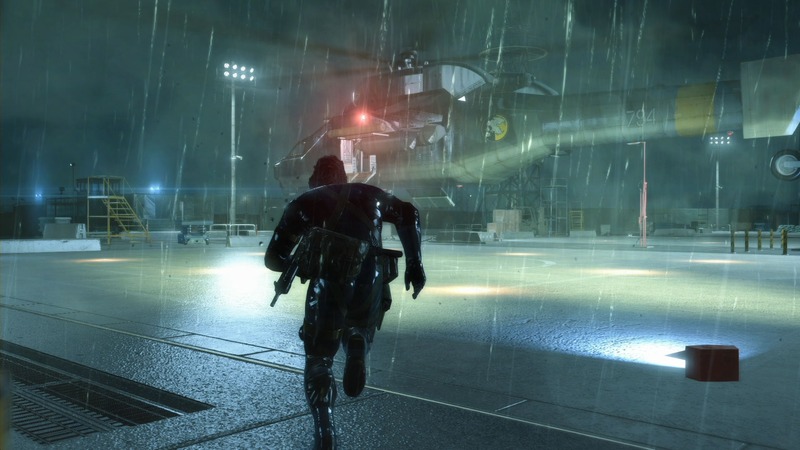 GZ definitely caters to both styles of play, though we must remember Metal Gear Solid was built upon the foundations of being a game all about sneaking and stealth. This new era has meant Hideo can change the formula to cater for a wider audience and add new styles and elements to the game play we all love. As much fun as it is sneaking around, putting the soldiers to sleep and flinging their bodies into the sea, I did find it annoying when Snake could not cling to cover the way the game was designed to be handled. Sometimes he would perfectly take cover, but other times he would be jittering around, while trying to stick to a corner of the wall. More often than not, this would result in him getting seen because he popped out a little too far and got caught peeking. A few times I had to use reflex actions in order to stop going to an enemy alert status, but this is only a minor issue which did not deter me from the amount of fun I had with this short game. And yes, this game is short. The main mission can be completed in as short a time as 1-2 hours, depending on how fast you play, the route you take, if you explore, if you’re a sneaking god or if you prefer to go in all-guns blazing – which is definitely fun and should be done on subsequent playthroughs. However, once you complete the main mission you will still have plenty still to do, whether you’re completing the side ops, trying to get an S rank or finding all the collectibles. I eventually obtained 100% of the trophies, but roughly had an overall in-game completion rate of 83%. I had roughly clocked 12 hours at this point, and could easily have played up-to the 15 hour mark. No doubt the positives far outweigh the minor negative issues I encountered, and for the price, I would definitely recommend you go out and buy Ground Zeroes. If you want a fun, action-orientated MGS experience which still encompasses the stealth elements we are all familiar with, this is essential. Whether you are an experienced MGS fan or someone who is new to the franchise, you have come at the perfect time. The franchise is re-energised and creates exciting new possibilities with open-world game play and new mechanics. The road to Metal Gear Solid V: The Phantom Pain begins now, and this is the best way to prepare yourself for an epic journey only Hideo Kojima knows how to deliver. An avid gamer who has been playing video games since his early childhood days and is still playing video games 20 years on. A gamer who enjoys the medium for what it is and takes the medium as a form of relaxation.